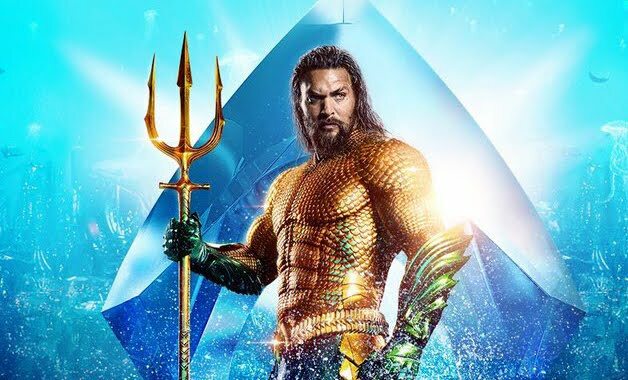 It feels like there's been a distinct shift in tone between the first trailer for DC's Aquaman movie and its most recent one released over the weekend. The first one had already been pretty promising but on the whole it felt largely in tune with the Justice League movie in terms of tone and even overall (literal) color. The latest trailer is so much brighter and feels more like how Thor Ragnarok felt when it came out given it's modern adaptation of the classic Kirby style that had defined that comic book back in the day. They even included the often ridiculed orange Aquaman costume, albeit with a modern update to make it feel more awesome. Sure, part of the differences probably involve how more post production work has been completed and thus some of the more visually impressive scenes are now included as part of the trailer. Beyond that, it certainly feels that DC is really trying to pivot how their movies are represented and may just shake off the dark and gloomy tone that Zack Snyder had imposed on the earlier movies, much to their detriment. Basically I'm saying that the trailers look great and very un-DC movie-like and that may be a great thing when the movie finally hits theaters in December. Of course for us in the Philippines it means that we'll probably see it in January given the theater lockdown that is the Metro Manila Film Festival.